A Colombian executive of US-based coal company Drummond has been arrested after being charged with the killing of two labor union leaders, The Associated Press reported on Monday. Alfredo Araujo, the former Head of Industrial Relations for the Alabama-based coal miners has been charged with the murder of two trade union activists lowered from a bus and shot in 2001. Valmore Locarno and Victor Hugo Orcasita, respectively the president and vice president of the Sintramienergetica trade union, were stopped by members of paramilitary group AUC while travelling near Valledupar, a city in the Caribbean region of Colombia. Claims allege that Locarno was killed on site and Orcasita was forced into a van. His body was later found on the side of the road. Former paramilitary Alcides Mattos Tabares, alias “El Samario,” claimed he took part in the murders as part of the Northern Block of the AUC and that they were ordered in response to a planned strike that would generate a loss for the multinational company. He patrolled the Drummond railway from 2000 until his capture in 2005. Drummond has a history of allegedly conspiring with the paramilitary group United Self-Defenses of Colombia (AUC) between 1996 and 2006, with the executive allegedly ordering the murder of trade union leaders and the company allegedly financing the expansion of the group. In 2009, a civil lawsuit was filed in US courts against the company. However, the US Court of Appeals filed the case on March 25th claiming a lack of adequate information to bring the international claim to US courts. This case is now to be decided by Colombia’s Courts of Justice. 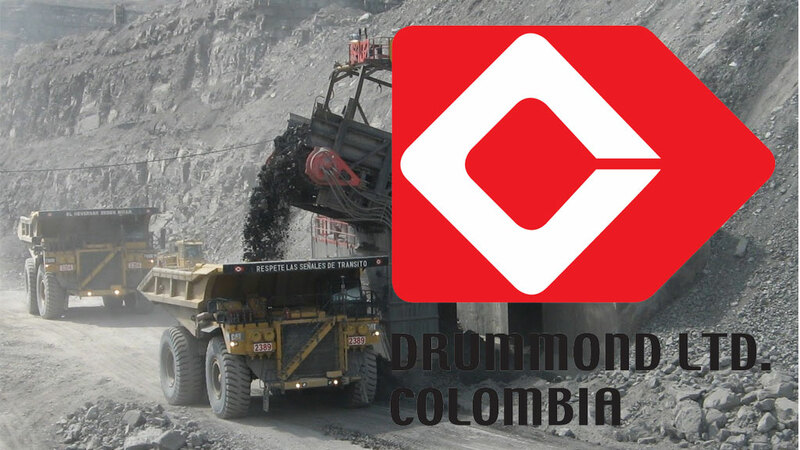 A report over alleged conspiracy with paramilitary groups reported that both Drummond, based in the US, and Prodeco, a subsidiary of Swiss company Glencore, financed the Colombian paramilitaries between 1996 and 2006. Drummond, which has consistently denied paramilitary involvement, responded against the human rights allegations by filing a lawsuit claiming that lawyers, an advocacy group and a Dutch competitor worked together to extort money from Drummond through their allegations against the company. Former Drummond contractor Jaime Blanco was sentenced to 38 years in prison in 2013 for organizing the murder of the two trade unionists. Araujo, Blanco’s inside contact at Drummond, has been provided two lawyers by the company and proceedings are expected to begin within a week. The United Nations estimates that 2,800 trade union activists have been killed in Colombia in the past 30 years with 95% of these murders unpunished.